Master of Science in Occupational Therapy (MSOT) student Whitney Boetel is making waves with her work in community service. 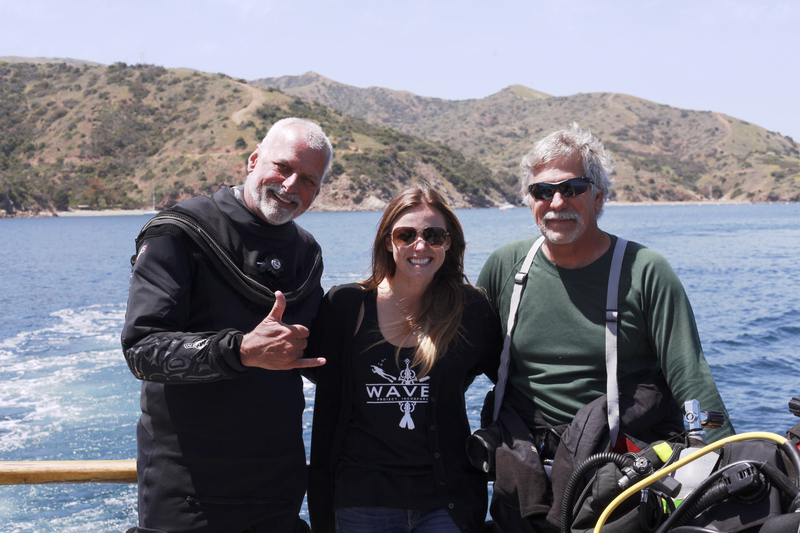 This spring, California Campus Compact selected Ms. Boetel to be a recipient for the Community Engagement Student Fellowship (CESF), where she worked with Wounded American Veterans Experience Scuba (WAVES), a non-profit dedicated to helping veterans by providing scuba diving ocean therapy. WAVES works specifically with combat veterans who have spinal cord injuries, PTSD, amputations, and other impairments. Ms. Boetel has embarked on an ambitious service learning endeavor intended to assess the efficacy of WAVES and evaluate the ways in which participating veterans could benefit from the integration of occupational therapy concepts. Started in 2015 with a group of Stanbridge MSOT students, the goal was to accompany WAVES instructors on swimming pool and open-water dives, and conduct research through observation and participant interviews. 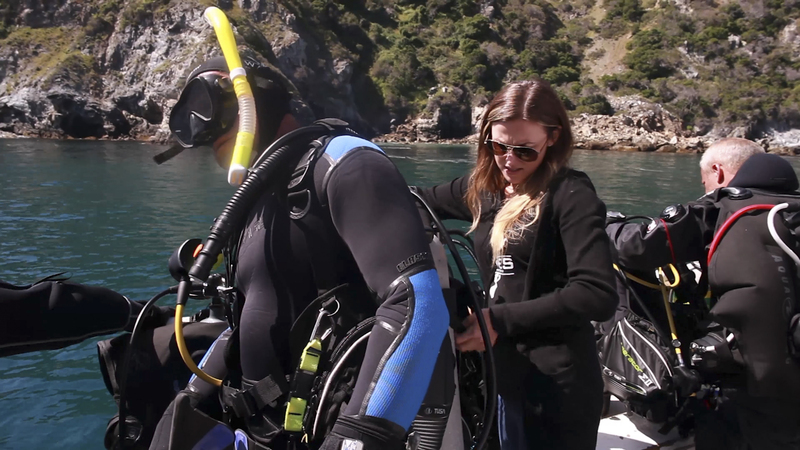 Students were able to utilize clinical reasoning and occupational therapy concepts learned in the classroom to create an evidence-based plan to help veterans suffering from PTSD better evaluate their surroundings and manage stress for future dives. Veterans who participated in the program reported a greater sense of self-control and confidence. Mr. Steve Rubin, Founder of WAVES says that all the Stanbridge students he’s worked with have brought amazing effort and aid to their service with WAVES. “All of the students that we have worked with at Stanbridge University have been phenomenal. We are going into our second year of a program that looks at how scuba diving, occupational therapy, and the therapeutic values of water help wounded veterans and everyone at Stanbridge has been incredible. Their passion in their hearts as they work with the veterans really makes a big statement about the quality of students,” he said. Ms. Boetel has taken this a step further, and over the course of her 100-hour fellowship, Ms. Boetel was able to assist WAVES staff with dive instruction and training to learn first-hand about the work they do, while also developing a supplement to the WAVES diving curriculum called “Under the WAVES,” which expanded upon the work of the original 2015 service learning group’s goals. Ms. Boetel incorporated other principles of occupational therapy into the program in order to help veterans to better manage the psycho-social aspects of diving. Ms. Boetel also assisted in expanding the scope of the WAVES Project by helping to secure a pool location for diving instruction in Orange County and subsequently conducting outreach to local veteran organizations, allowing more veterans access to the program. “Working with Ms. Whitney Boetel over the past few months, I know whatever she decides to do and whatever field she goes into in occupational therapy, she’ll be a success,” Mr. Rubin said. Ms. Boetel reiterated that she believed her work truly had purpose. “I believe I have had a significant impact on WAVES that will allow them to continue to grow and find new participants,” she said. For more information on the MSOT program, visit www.stanbridge.edu/program/msot. For information on the California Campus Compact, visit www.cacampuscompact.org. What is a Vocational Nurse (LVN)?